I shot this Buck on 11-20-2015 in St. Lawrence County. I sat in the stand for 6 hours and in the last bit of shooting light he came stomping in head down towards my estrus line. 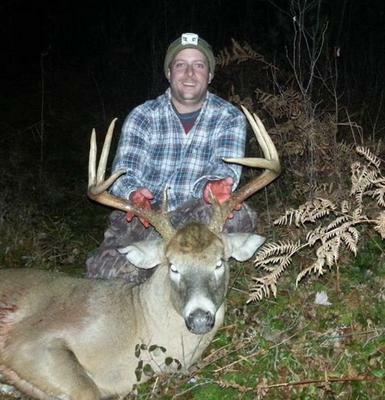 The buck weighed 165lbs. He was a 10-point with a 19 1/2" inside spread. Split brow tine. By far my personal best and real nice for the area we are hunting. He green scored 138". Ready for next year!